We inspire the intellectual curiosity of our students and provide a sound Catholic educational environment. All students have the opportunity to explore their inner creative genius in our drama program and church choir. Through competitive athletics, young men and women develop their bodies, minds and spiritual beings into a strong, contributing members of our society and Church. Discover how our Reggio-inspired program creates a sense of wonder, curiosity, and excitement in our youngest learners. Spiritual formation as integrally connected to the development of the whole child. It is because of our inclusive community that St. Joseph provides an excellent educational program. St. Joseph School prepares students to become the person God intended them to be. We provide an environment which promotes the understanding of love and respect for God, oneself and neighbor, while assuring each child the opportunity to enjoy a positive, rewarding, and successful academic experience. All spiritwear and uniforms can be ordered at any time online through Donnelly's. 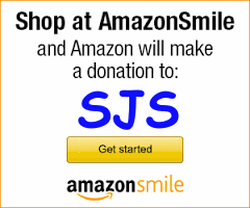 There are so many ways to get involved at SJS. If you do not have time to volunteer consider a tax deductible donation or participating in one of our easy, no cost fundraisers. Please consider how you can help!